Perfect size pillow, great quality! Very nice colors and texture. Great material. 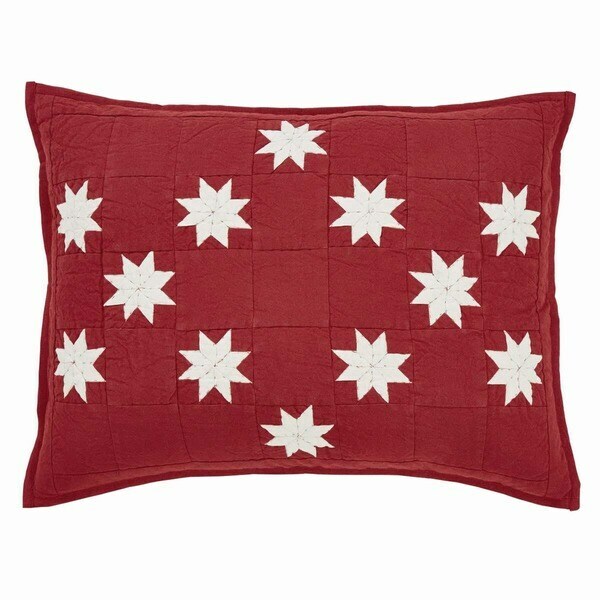 Will serve as an accent pillow to my Eddie Bauer Camano Island quilt set. This sham is very pretty but of poor quality. Flimsy. I got the quilt and 2 shams and needed a third. The quilting is very poorly done also. I guess I’ll have to have it dry cleaned because I don’t think it would stand up to washing it on a gentle cycle. I was very disappointed in the quilt and shams. That being said I’ll keep them because they’re so pretty. Purchased to go with the matching comforter. Very cute. Fit a standard pillow perfectly. Smaller than I thought it would be. Great quality of product and will look awesome on my guest bed for the holidays. I bought the Kent Luxury bedspread and the snowflake flannel sheets to go with it. As soon as I wash the sheets I will post a pic of the final look out together. Great Pillow shams that match a quilt I bought earlier....even better customer service rep who handled al my problems when my IPAD and I were having a failure to communicate. Thanks Overstock for hiring the sweet young an with a ton of patience. I will be recommending you to everyone! The fabric these are made from is quite rough, but the shams beautiful! These were purchased to go with the matching quilt but they were very expensive. The 2 shams were almost as much as the quilt itself. Overall, I recommend them but wait until you have a coupon. Everyone asks if I made it and comment on its beauty! I’m a red “freak” so of course that had everything to do with it’s purchase and the lighter weight of it is just perfect for us! Thank you for such a timeless set! These shams more than fit a king size pillow. Looks great with the matching comforter. Good quality at a fair price. Fabric was not what I thought. "Is this price for one sham or two in a set?"